Co-Op Puzzler Melbits World Launches on PS4 Today! Melbot Studios is excited to announce the launch of Melbits World exclusively for PlayStation 4. The team created a puzzle game for people of all ages, a unique adventure so accessible that smartphones will be used as controllers. 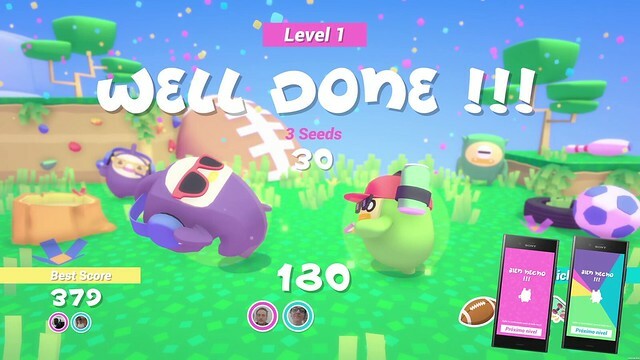 Melbits World is a challenging but easy to pick up co-op game for the whole family, and one that will test your relationships with your friends to boot! “Melbits World presents an addictive and super fun challenge that mixes the best of Tamagotchi and Lemmings. Saving the Melbits will require a lot of attention and communication from all the players to coordinate their moves at the right time! “- Ivan Exposito, Co-Founder of Melbot Studio. HITMAN 2 Elusive Target #3 – “The Appraiser” – Available Now; Check Out the Full Mission Briefing Video!